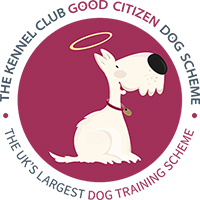 WELL DONE TO ALL WHO PASED THEIR GOOD CITIZEN DOG SCHEME BRONZE & SILVER AWARDS 100% PASS RATE WOW!! 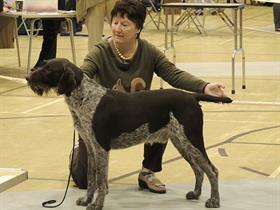 JOANNA WITH THEOBlaze Winning 3rd place at the Arfon Novice Working Test on Anglesey In a hugs class of 28 dogs. The lovely ground was full of scent with some hard blinds to find. The dogs had to jump a stone wall – my heart was in my mouth as he has not done this before! Watched for the dummy to bring thrown, jumped the wall, got the dummy over the wall and handed the dummy to me I was over the moon. Blaze and another two dogs were the only dogs to jump the wall and come back the same way again! We were told The level of this Novice test was of a high standard and bordering on an “Open” test. Blaze did very well I was so very proud of him, as he achieved a score of 76 only 3 off the first place Winner. What a clever boy Blaze is. Bertie Winning his Post Graduate class at the (GWP) German Wirehaired Pointer show on Sunday in Derby – In a class of seven Bertie went like a dream. And now has qualified for Crufts two years running in 2015 and now in 2016! He showed like a true pro and looked very fit and wonderful. 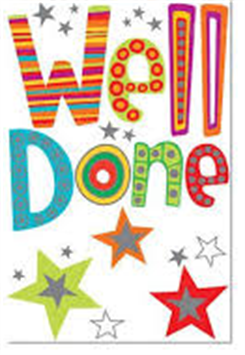 Thank you to the judge Janet Kirkwood who thought so highly of Bertie and said so!. I must admit he did look special and didn’t put a foot wrong all day. Winning in the beginners too , what a Fabulous day and also if you can top this! I won the hamper so all was a double win by us! Bertie has recently won 1st in post graduate and 1st in open and then went onto win Best of Breed in Coventry gundog society show!